What else could you want for $141,700? Alpina is going where the folks at BMW fear to tread by producing its own version of the M7 named the B7. There’s long been a yawning gap in the BMW line-up. While virtually everything the automaker now offers is available with an “M” option, the Bavarians have resolutely refused to offer an M7 model. But that’s where Alpina, a German tuner with a long relationship with BMW comes in. And it’s about to launch its own take on a performance version with the debut of the latest-generation Alpina B7. 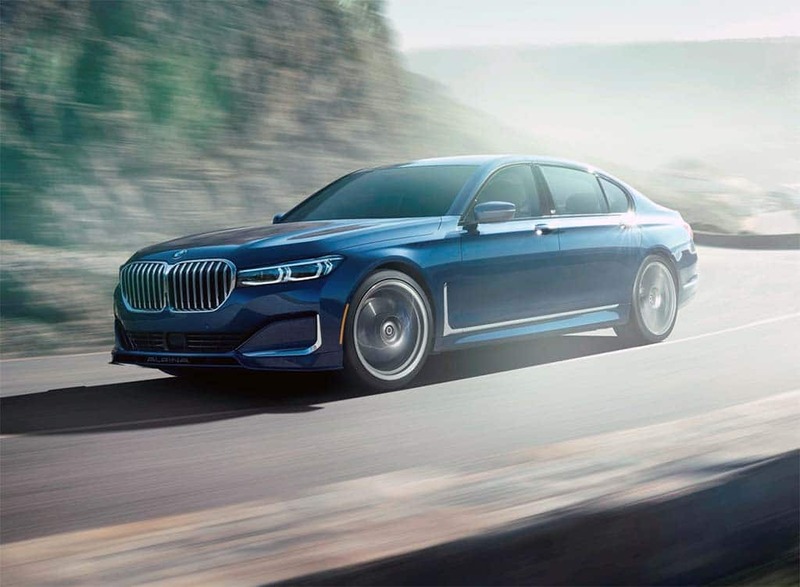 The sixth-generation sedan – and the third generation of Alpina B7s to make it to the U.S. – starts out from where the newly updated 2020 BMW 7 Series leaves off. If anything, the 2020 Alpina B7 adds even more luxurious details to the latest BMW 7, while also boosting performance significantly, the full-size sedan now able to hit 60 in a mere 3.5 seconds before racing to a top speed of 205 mph – 12 mph faster than the prior-generation B7. Lowered slightly for better performance and handling, the B7 will hit showrooms this summer. 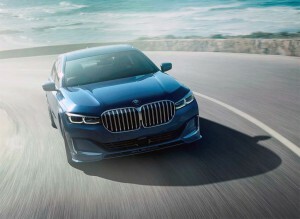 Visually, you won’t have trouble recognizing the Alpina’s roots as a BMW 750i, though there are some subtle revisions, including the way the massive new double-kidney grille on the stock 2020 7 Series has been framed. The B7 gets its own front bumper and the integrated air intakes are part of the overall move to improve the car’s aerodynamics. Other changes, including the rear spoiler, help eliminate high-speed lift. Meanwhile, a look at the back end also reveals Alpina-specific elliptical twin stainless steel tailpipes. The Alpina rides on 20-inch wheels, though the tuner also offers high-strength, ultra-light 21s. The partners note that you’ll need the stock Michelin performance summer tire package to get all the new B7 can deliver. If you opt for the alternative all-season package, the sedan’s top speed is limited to just 130 mph. That’s pretty much all you’d need in the U.S. but it could put off German buyers with easy access to the Autobahn. 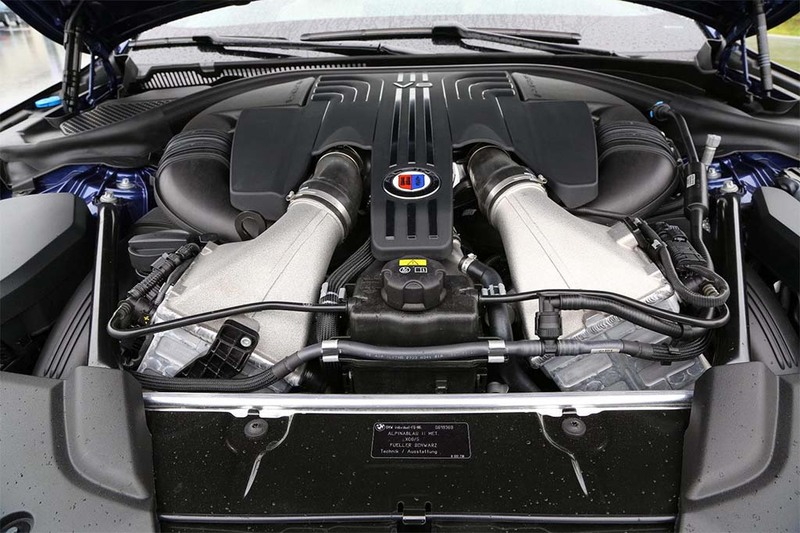 Alpina tunes the standard 4.4-liter V8 to 600 horsepower and 590 foot-pounds of torque resulting in a 0-to-60 run of 3.5 seconds. The B7 has several other modifications to enhance high-speed performance, including an air suspension system that can lower itself by 0.6 inches when you’ve hit 140 mph. That both lowers the center of gravity and reduces under-car turbulence. The B7 also features active rear steering that helps tighten its cornering capabilities, as well as maneuverability at parking lot speeds. And, as you might expect, the braking system has been upgraded as you’d hope to find on an M7 or alternative. It’s what’s under the hood that likely will matter most to B7 buyers. 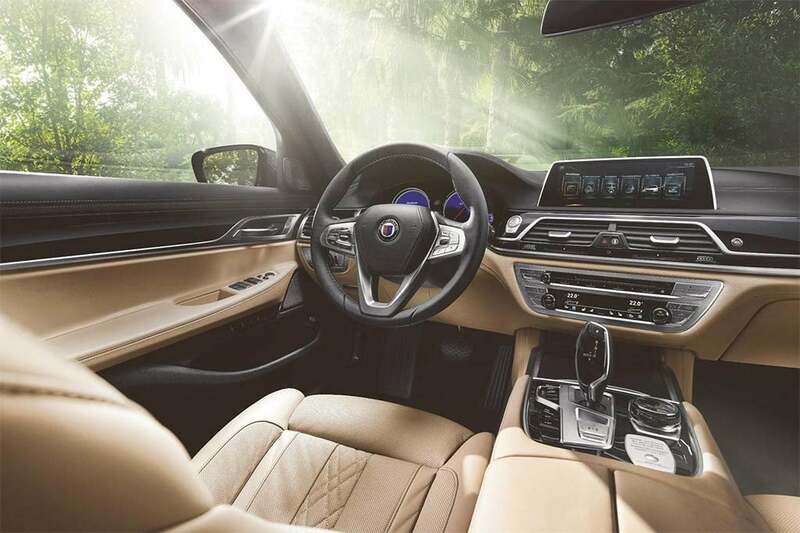 In Alpina’s hands, the sedan’s 4.4-liter V-8 punches out 600 horsepower and 590 pound-feet of torque, in part due to modifications to the engine’s twin turbos, as well as revised software. Alpina also tweaked the ZF eight-speed gearbox to reduce the need to limit torque once changing gears. All of the luxuriousness of a 7 Series with more power and performance equates to a $141K price tag. The B7 comes with virtually every feature you could get on a stock BMW 745i, including a head-up display and night vision. It also features the full Driving Assistance Professional package of advanced driver assistance systems. And it makes other interior upgrades. That includes a number of tweaks meant to reduce cabin noise, including the use of laminated glass all around. As you also might expect, this take on an M7 doesn’t come cheap. The 2020 Alpina B7 will set you back a hefty $141,700. Add another $995 in delivery fees. Expect to see it launch into U.S. showrooms during the third quarter of this year. This entry was posted on Monday, February 11th, 2019 at and is filed under Asia Pacific, Automakers, Automobiles, BMW, Business, China, Europe, Executives, Luxury Vehicles, Markets, NAFTA, Personalities, Sales, Sedans, South America, U.S./North America. You can follow any responses to this entry through the RSS 2.0 feed. Both comments and pings are currently closed.